Bubbles, aka Tuftex, is a 10-year-old red female born September 7, 2004. Her sire is Quiet Traveler and her dam is Lovely Lindsey. 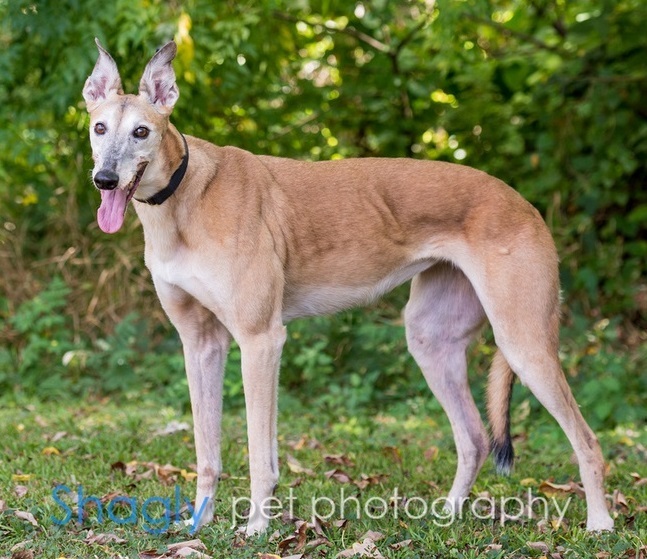 Bubbles has 15 races on record with Greyhound-data.com, all at Gulf Greyhound Park in 2006. 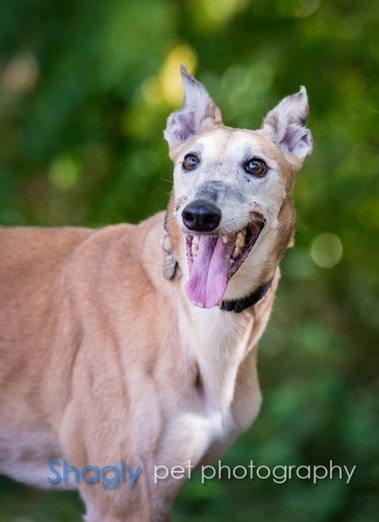 She retired to a home with Slider, but they have both just joined the GALT family due to serious owner health problems. Bubbles has lived with cats previously, and would do best in a home with other dogs.